There is no doubt that a spot of gambling can be a great way to spend an evening if you are off travelling. It’s a massively growing industry, so there are more and more land-based casinos popping up than ever before. If you are on your travels and are looking to have a game of Roulette or Blackjack – you may want to pay a visit to one of the best casinos around the world. Since there are so many, we thought we’d give you a helping hand. The ones we have listed below definitely won’t disappoint. Macau will probably be mentioned a lot on this list, as it is home to many a fantastic casino. The Venetian is particularly impressive. This is a 5-star casino, and as you may be able to tell by the name – it has an Italian theme. It is more of a resort overall, with lots of shops and restaurants featured there. You can even have a gondola ride that will transport you straight to Venice. There are over 3,000 gaming machines available at this land-based casino, so there is more than enough for you to choose from. You can also enjoy Roulette, Blackjack, Baccarat, Poker and more. There is also the Paiza club that is specific to VIP’s, so if you spend enough time there you could end up bumping into some famous faces. There are over 3,000 rooms and suites at The Venetian, and it isn’t only for adults – there is lots for kids to do if you want to make it more of a family holiday. This is a must visit if you are on your way to Portugal any time soon. It is a destination in itself. It is massive in terms of size. The gaming area is over a whopping 165,000 square feet which gives you an idea of the space there is. In terms of games – their area over 700 slot machines and 22 gaming tables to play on. There are 4 bars for you to have a drink, 3 restaurants and there is a theatre that has 600 seats. There are lots to keep you amused apart from the casino itself so be prepared for a long stay. The Borgata is an incredibly famous casino in Atlantic City. It has an Egyptian style theme covered in gold – and screams luxury. It isn’t only a casino, it is a hotel and spa. There are over 2000 rooms giving you an idea of the grandeur, and there are some great restaurant and nightclub options. The gaming area covers over 161,000 feet and is home to over 4,000 slot machines giving you lots of variety. You will also find that they host regular tournaments if you are on the competitive side. Don’t be surprised if you run into some famous faces at this casino, it is a renowned hot spot for celebrities. 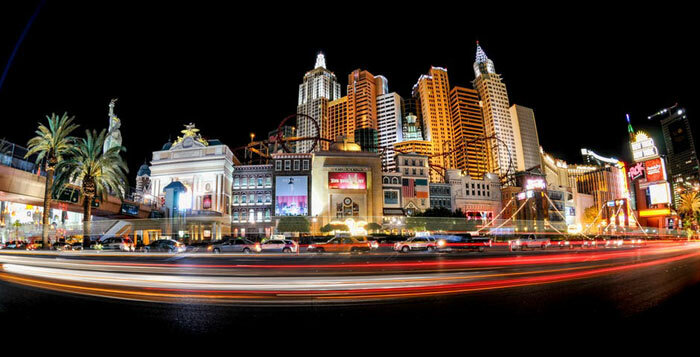 We couldn’t have a list of top casinos around the world without mentioning the infamous Las Vegas, which is renowned for gambling. The MGM Las Vegas was founded in 1993 and is the biggest hotel in the USA boasting 30 floors. As well as the casino itself that features slot machines and table games – there are 5 outdoor pools, malls, restaurants, bars and nightclubs. You won’t ever need to leave the casino itself there is so much to do. One of the nightclubs is the infamous Level Up where you will find some outstanding views of Vegas. There is also an MGM in Macau that is equally as prolific. Macau is on our list again! City of Dreams is so big it could take you forever to get around it. There are nearly 2000 slot and table games available, and there are is lots of other entertainment available to you. There is the fantastic “House of Dancing” water show which launched in 2010 – and has seen millions of visitors. There are some great restaurants for you to dine at, and 1400 rooms, all of which are luxurious. This is one to check out if you want a taste of the finer things in life. Although German gambling regulations aren’t quite as clear-cut as they are in the UK – they have lots of land-based casinos that draw in a crowd. This is the oldest casino in Germany and has been described as the most beautiful casino in the world due to its fantastic decor. It looks like a Parisian Palace when you enter and has a massive collection of games. It has a function room, a party area, and a concert venue if you feel like some entertainment. If you don’t fancy going out one night in Germany, but still want to indulge in some casino action – you can even play online here De.quasargaming.com and get the real feel through a wide range of games. This massive land-based casino is based in Connecticut. It is massive in size amassing over a huge 344,000 square feet. It was once a bingo hall, however, was renovated in 1992 to now become this luxury casino. Alongside a huge range of slot games – the Foxwoods Resort Casino has lots of table games to check out. There are the likes of Blackjack, Craps, Roulette, Poker and more. What makes this casino particularly interesting is that they give the state of Connecticut 25% of their revenue. 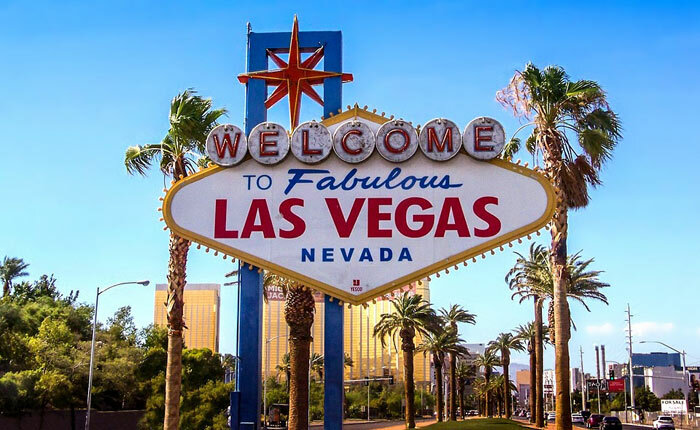 If you feel like a gambling holiday or are simply looking to pay a casino a visit on your travels – then check out one of these destinations. They are high-end casinos that will give you a taste of luxury. Have fun, and remember to gamble responsibly.